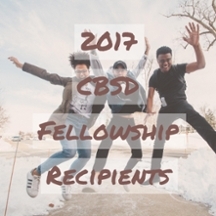 The Center for Biomolecular Structure and Dynamics (CBSD) is pleased to announce that seven students have been selected for support as 2017 CBSD Summer Graduate Fellows. The major criteria used selecting students for support were: 1) the potential for the award to facilitate graduate recruitment into a graduate program by supporting new, uncommitted students; 2) the potential for the award to support mentors who are new investigators (tenure-track but untenured); lack of, or insufficient funds to support the student, and 4) support of diverse graduate programs within the Biomedical, Cellular, Biochemical, and Chemical Sciences community. Each of the 7 candidates nominated by their respective programs were seen as strong. However, because candidates were at different stages in their studies, it was not possible to compare either their academic achievement or scientific productivity on a common basis.